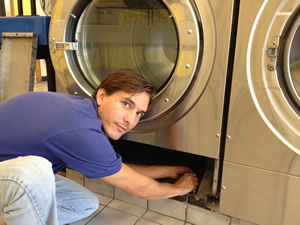 Justin Laundry Systems prides itself on providing the best customer service you can find for commercial or industrial laundry equipment. Our service technicians must complete yearly factory certified training and are fully insured for even the largest of projects. Our technician’s show up to your laundry room in uniform and drive factory labeled trucks. With ever changing technology and strict insurance concerns, you can rest assured than Justin Laundry Systems is ready to tackle any laundry job you might have.